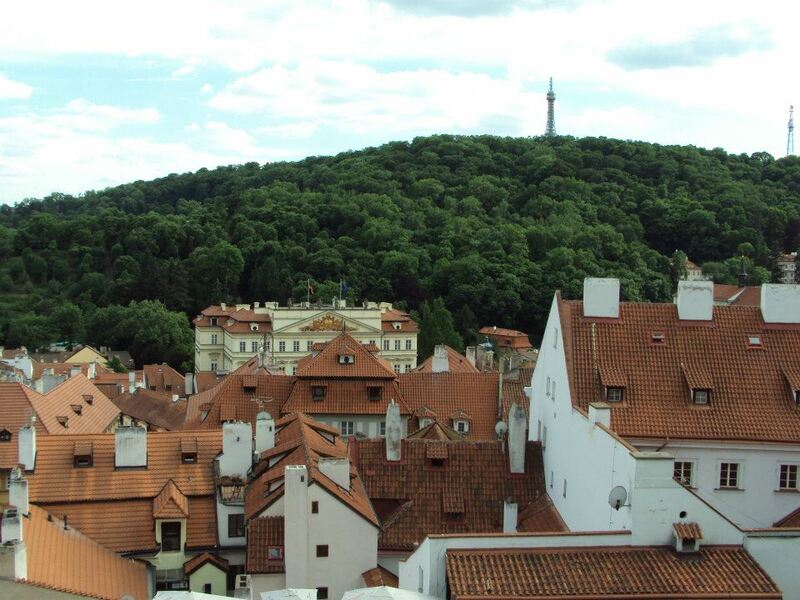 My trip to the Petřín was a solo trip, the first one I did in Prague, and one full of misadventures. I love exploring but I like to have at least one other person with me, especially in places where I don’t know the language. My trip to the Petřín started with a troublesome tram ride. When no one wanted a seat I went to sit and a guy got up from his seat, grabbed my arm to keep me from sitting and took the seat I was going to sit in. I stood the rest of the trip at a loss at what had happened. 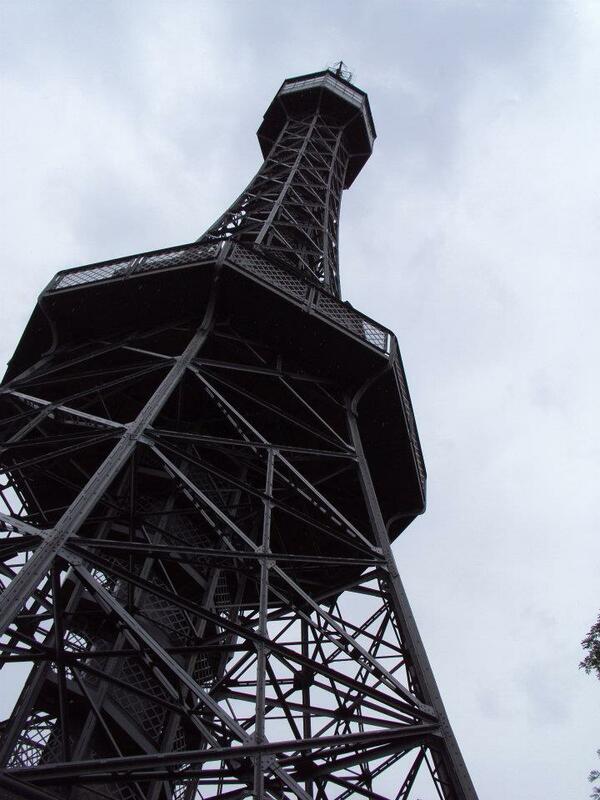 The Petřín is a miniature Eiffel tower, only it is the same size if you count the hill (or mini mountain) below it. There is a funicular that goes up the hill from Ujezd and I got off at the right spot, but I went the wrong way, and I ended up picking the steepest way up the mountain by accident. 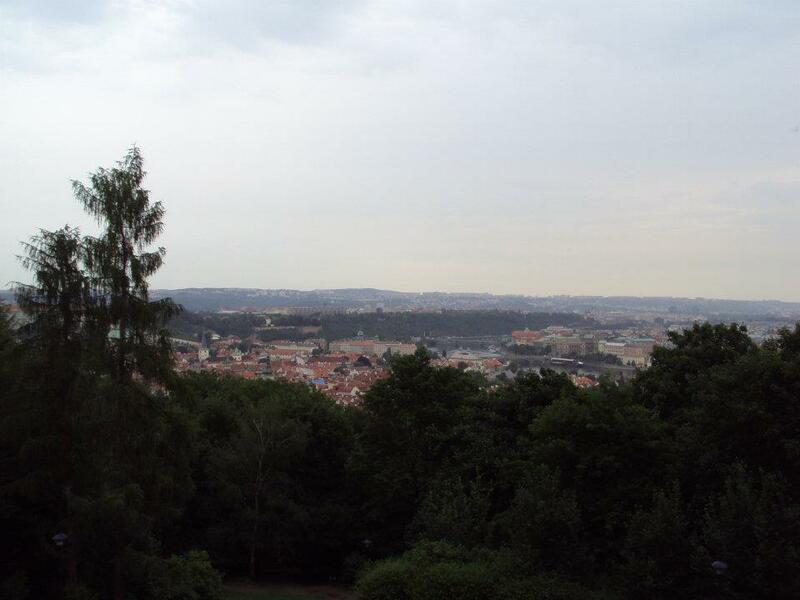 I saw beautiful views of the city and even got to pass under the hunger wall, but it was tiring and I hadn’t been expecting to be walking that much, or at such a winding incline in the rain. The Hunger Wall or Hladová zeď was built on Petřín hill between 1360 and 1362. The story goes that the wall was built not just for defense of the city but as work for the cities poor, who would receive food as the built. About halfway up the mountain I found a restaurant where the funicular stopped, a halfway romantic restaurant with a gorgeous view of the city, where I hopped on and rode the funicular the rest of the way up the mountain. 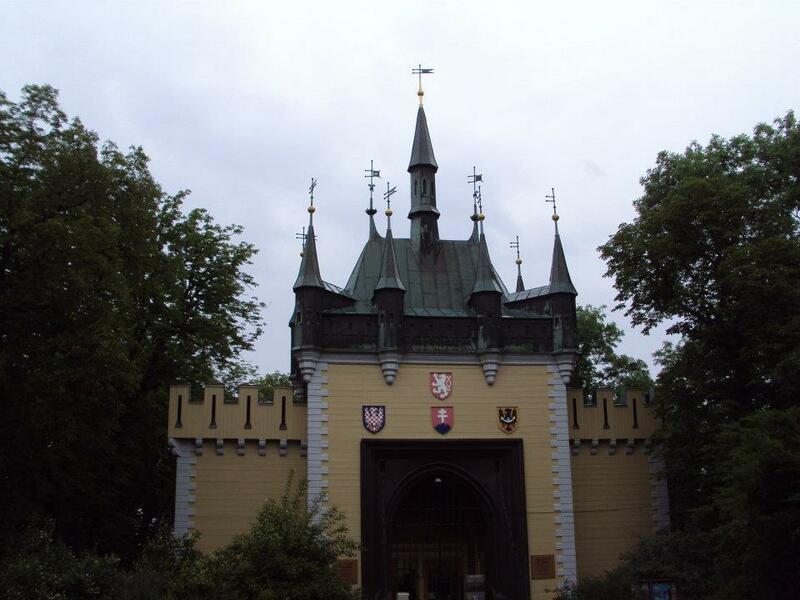 The Petřín when I went was popular with groups, especially little kids and there was a food court and a gift shop. You can also climb to the top. It is 299 steps, with my exhausting day of misadventures and the fact I was doing this between classes I didn’t go up. It wasn’t expensive and I told the person at the front that I was a student, showed my international student card and got a discount. However I gave them a larger bill, when I could have paid in coins, but I wasn’t sure if I had coins. The person working there asked for me to double check, I did, found exact change, passed it over and they didn’t give me my bills back. There was a line behind me with little kids and when I tried to explain that I hadn’t been given my bills back they pretended they didn’t know English, when we’d just been understanding each other moments before. So I gave up and over paid, which colored my experience of the maze of mirrors. It was small and definably not worth all the money I lost. In general it’s probably fun though and a bit educational. They have people in costume by the front. 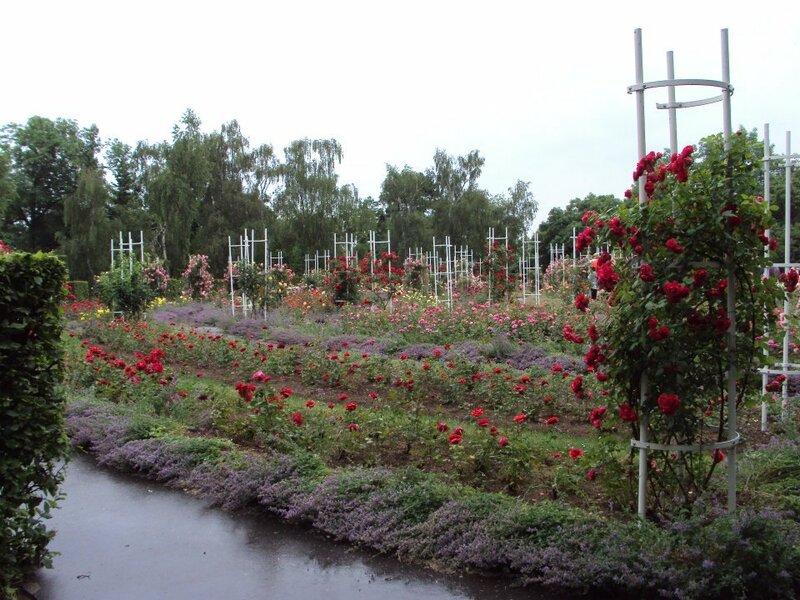 My favorite part of my trip to the Petřín was a huge rose garden by an observatory. It was gorgeous. I took the funicular down the rest of the mountain and went home. The funicular costs money, but with the month pass it was free. Take tram 12, 20, 22, or 57 to get to stop Ujezd then go up the funicular to get to the tower, restaurant, mirror maze, and observatory.